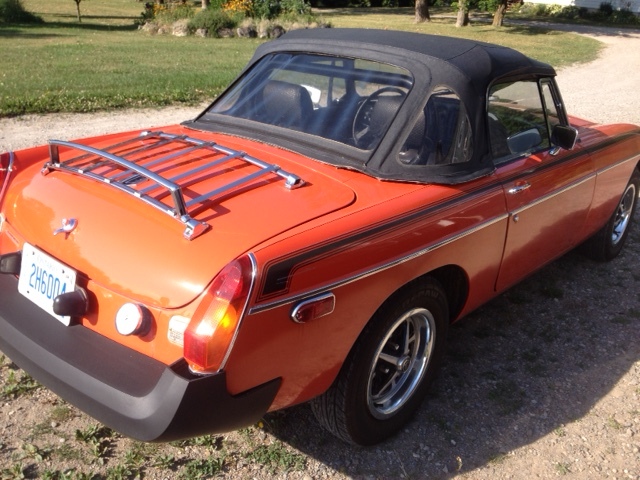 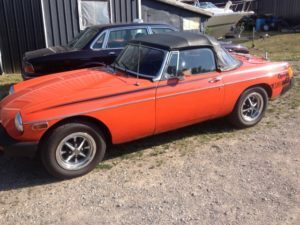 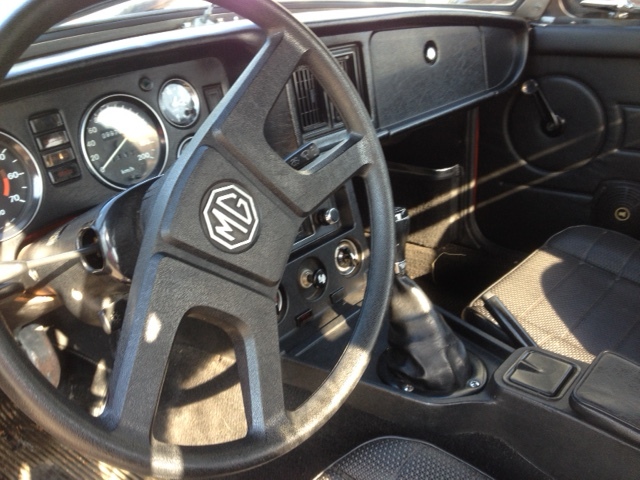 This MGB is red with a black interior. The current owner has had the car since 1986. 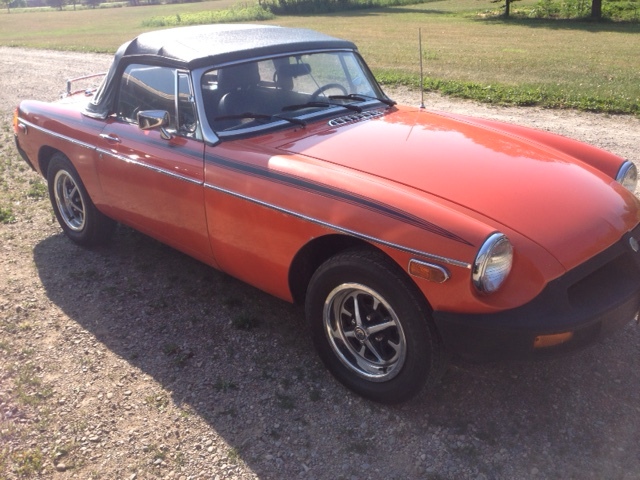 Very reliable, original, except the pollution control has been removed.